This post is a long time in coming - sorry about that. Most of the wonderful action is now on Facebook. Please go to Tracing the Tribe - Jewish Genealogy on Facebook. We now have nearly 4,000 very active and talented members from around the world who delight in helping answer questions, provide resources and translations and who are part of a wonderful genealogy community on Facebook. It is an Open Group, which means that everyone can read posts and comments, but only members can post. To join, please ask to join, and then I will approve you. However, all previously published blog posts on Tracing the Tribe - The Jewish Genealogy Blog are still available to be read, and I hope you do. Thousands of readers still access them every week. Tracing the Tribe is now in Springfield at the Federation of Genealogical Societies annual conference. Many geneabloggers are attending and it is always good to see one's colleagues. We'll soon be sharing notes on some excellent expert presentations. Two of my favorites focused on societies: building a better website and publicity tips. All societies should have the notes on these two informative programs. Geneablogger guru Thomas MacEntee - who handled publicity for this event - arranged an excellent media hub - sponsored by RootsTech - complete with computer connections and very comfy seating. Readers on Twitter will have seen the prolific tweets of bloggers here. Tracing the Tribe has been rather quiet for some time and this was due to a combination of heavy workload and very busy conference schedule. The calendar has finally slowed somewhat and we are getting back on track. Of course, presentation deadlines are quickly approaching for both Jamboree 2012 (Burbank, California; June) the Who Do You Think You Are? LIVE 2012 family history fair (London UK; February). RootsTech 2012: Looking forward to Salt Lake City! Read below for a great registration price for RootsTech 2012, if readers register by midnight tonight (Friday, September 10). While the summer season of conferences is winding down, we are already gearing up for the winter season which includes RootsTech 2012 (Salt Lake City, Utah, 2-4 February) and Who Do You Think You Are? LIVE 2012 (London, UK; February). Tracing the Tribe has been named an official blogger for the second edition of the newest genealogy conference - RootsTech 2012 - which brings together developers and and consumers. RootsTech invited the geneabloggers to a reception this week at FGS in Springfield, Illinois and provided a preview of exciting plans for February. The first edition was one of the most dynamic and exciting events we've attended. The conference was expertly planned and pulled together in a very short time. The participation of developers with their end-users proved fascinating for both genealogy market segments. With the event in Salt Lake City, many attendees will be coming in a few days early or staying a few days after to get some research in at the Family History Library. Tracing the Tribe readers and everyone else can register (and pay for) the conference at the excellent discounted rate of $99 by midnight Friday, September 10 using the special code FGS99. It is unclear if it is midnight Pacific or East Coast, so do it NOW, and share the news with friends, family and genealogy society members. For those who don't make that deadline, the early-bird rate is $129 through the end of November. Additionally, any person may register any other individuals at the same time. This means that readers can register friends, colleagues and genealogy society members. There's also a great student price of $35 (valid ID required) to encourage attendance by the younger generations. Did we mention that the hotel rates for RootsTech 2012 are very affordable? Go to the conference site - RootsTech - to learn more and register with the special code by midnight tonight. The Jewish Genealogical Society of Greater Boston will be holding free Jewish genealogy nights at the New England Historic Genealogical Society (NEHGS) in September. No registration is required for the free sessions. The first is set for 6-8pm on September 21, at the NEHGS, 99-101 Newbury Street, Boston. It appears that the sessions will be held at the American Jewish Historical Society (AJHS), New England Archives, located on the fifth floor of the NEHGS. The AJHS archival materials are available to researchers - no fee for access. Interested in researching your Jewish genealogy? Have questions or don’t know where to start? The NEHGS is open on Wednesday evenings, when JGSGB members are available to help new and experienced researchers look into their family histories, answer questions, assist with brick walls and provide resource information. Twice each month, experienced genealogists will be at the AJHS reference desk. No appointment is necessary. For more information, contact Judi Garner at the AJHS. See the JGSGB website for additional news and upcoming meetings. For those who really like to plan ahead, note that the JGSGB will co-host, with IAJGS, the 2013 conference - the 33rd IAJGS International Conference on Jewish Genealogy - from 4-9 August 2013 at the Park Plaza Hotel in Boston. Planning to visit your family cemeteries? What do you need to know to prepare? What do you need to know when you get there? 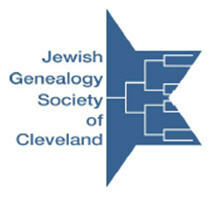 The next meeting of the Jewish Genealogy Society of Cleveland -at 7.30pm, Wednesday, August 3 - will focus on just that. Cynthia Turk will speak at Menorah Park in the Miller Board Room, 27100 Cedar Road, Beachwood. A member of the Cleveland-area Computer Aided Genealogy Group, Ohio Genealogical Society, Columbiana County Genealogical Society and East Cuyahoga County Genealogical Society, Turk is past president of the Lake County Genealogical Society and North Eastern Ohio Computer-Aided Genealogy Society, and served as chair of the Lake County Cemetery Inscriptions Project. For more information, visit the JGS of Cleveland. While at their website, check out their databases and other Jewish genealogical research tools. 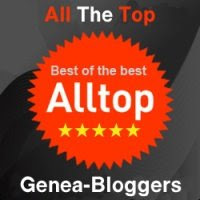 We've missed a few weeks of the new geneablogs discovered by Thomas MacEntee over at Geneabloggers.com. While many spotlighted new blogs focus on individual family history, there are quite a few in other categories and even some unique ones. Here are a few that we found most interesting, along with the links to the past few editions for more information on many others. Sue Beus has a passion for genealogy work. After years of research she has developed a unique system to easily organize and preserve your family history. I’m an Academic Herald. I’m not a “real” herald; I don’t design and register people’s coats of arms (though I can certainly suggest designs for those who might be interested). What I do is study, research, teach, and write about heraldry. (You can find some of my books about heraldry and a list of my articles and presentations about heraldry at “Our Website” below.) And I like to share what I have learned about heraldry, hence this blog. I hope that you’ll find it informative, interesting at least occasionally, and worth your time to come back. Got a question? Comments? Feel free to ask or let me know. This blog is designed to be a community blog where genealogists, family historians, and other lovers of history can share tips and resources to aid in the teaching of genealogy and historical research to young people. This blog will also highlight news about youth involved in genealogy and historical research projects. 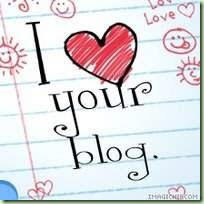 Youth Genealogy and Historical Research blog is owned by Genealogist and Family Historian Drusilla Pair of http://www.professordru.com/ and http://www.findyourfolks.blogspot.com/. As an offshoot of two other blogs Rogers Family History and Teresa’s Tangled Roots, the author has stumbled into a collection of vintage photographs. "It has always disturbed me how many thousands and thousands of 'ancestor' photos are out there in antique stores and on eBay that no one knows who they belong to. As a genealogist who would give anything to have pictures of her ancestors, it just kills me to see these orphan pictures unclaimed my anyone. These are someone’s family, their ancestors and I wonder sometimes as I look at them if one of them could possibly be one of my ancestors. As a collector of anything and everything, I have started buying up some of these photos and felt I needed to start sharing these somehow. Most have no names – why didn’t people put names on the back of these pictures?!? I will try to post many of the many photos I have, perhaps someone will recognize one or two. If you do, please let me know, I would be happy to reunite these photographs (people) with their descendants if contacted." Family stories form an important part of a person’s identity – stories about love, friendship, childhood dreams, hardships, triumphs, and the ongoing journey that is life. Too often these stories remain unshared and are forgotten before they can be recorded. Do you wish there were a better way to share meaningful stories with your family? We at StoryTree feel the same way and this is what has driven us to come up with a solution to this problem. The StoryTree team is dedicated to help you preserve your precious family memories and share them with the ones you love. As time passes, your captured stories come to represent a bond across generations and become invaluable to your family’s collective identity. Your family history has finally found a place to reside. Storytree was launched out of the Stanford d.school where we discovered a deep unmet need using the design thinking process. We hope that through StoryTree we can achieve our goals to make a positive difference in the world through good design. The site is dedicated to helping others uncover their family history and form an appreciation for the past and those who came before. The Genealogy Mom has been researching genealogical histories for nearly twenty years and has assisted people from all across the United States. We hope to offer insight not found anywhere else and teach others how to move forward in their family research. We are also available to help with research if needed. Please check out the sight today and let us know if we can help. Calling all bloggers: Required reading! Tracing the Tribe doesn't mean the category (e.g., geneabloggers), but personality type. 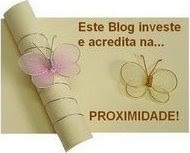 According to Stephen Guise of Deep Existence, who guest-posted on Problogger.net, there are at least 23 types, including the Machine, Ninja, Social Engineer, Name-Dropper, Comedian, Guru, Disruptor - even the Beloved - and some that Guise decided not to write about. For each, he gives pros and cons. The last time we checked, there were some 49 comments. To read all about the 23, click here. Consider subscribing to the Problogger newsetter which often offers articles of blogging interest. Check out the site's various sections. It's not quite "Who Do You Think You Are" but "Friday Night Dinner" may strike some familiar chords with Tracing the Tribe's readers. The new UK series will premiere on BBC America tonight (Saturday, July 30). Read an interview on Collider.com with actor Simon Bird and creator/producer Robert Popper as they describe their own childhoods and the differences between American and UK Jewish families. According to the interview, there's a creepy neighbor, a grandmother in a bikini, embarassing parents and more. Here's one bit offered by Bird who plays one of the two brothers who get together with their family every Shabbat evening. "I don’t think Robert is out to specifically write a Jewish sitcom. I think he wanted to write a sitcom about his family, and his family just happens to be Jewish, but they’re quite relaxed Jews. Some of the Jewish customs don’t really come into it, just because they’re not a big deal for Robert’s family. But, I’m a massive fan of Seinfeld and Curb Your Enthusiasm. I don’t know if they’re over-the-top, though. On Seinfeld, Judaism didn’t really come up much. It does more in Curb, only for the occasional storyline, here and there. In America, you’ve had decades of humor being fused with Jewish humor. In England, we just don’t have that. Our humor is not infused with Jewish humor. It’s completely different. So, whenever I see Jewish people depicted, they’ve always been done in either an over-the-top way, or a sentimental way. This family is Jewish, and they meet on Friday night. Their candles are lit, but they’re not going to do the whole thing. The way they talk is modern British. It’s second generation and third generation Jewish people. Jewish people will recognize they’re Jewish, but non-Jewish people might not. They might, if they know some Jewish people, but it’s not an issue. If you get it, you get it. If you don’t, you just enjoy it. Read the rest of the interview at the link above. There's another short review here.